Owing to the rich industrial experience and expertise in this business, we are involved in providing supreme quality array of Stainless Steel Ingot. Vishnu Iron & Steel Co.
Our company is targeting to be amongst prominent Mild Steel Ingots Manufacturers in India. 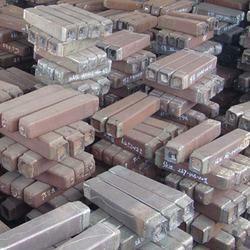 We deal with manufacturing and supplying of Steel Ingots, Alloy Steel Ingots and mild steel ingots. Our products are widely acceptable because of its quality control assurance and use of fine raw materials. 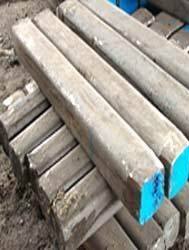 We ensure to offer Steel Ingots at very reasonable prices. Ingots of all sizes and lengths confirming to all standards and grades are manufactured at Avtar Steel. The products are well-suited for all industrial applications It covers the range of both standard as well as special products. Ingots are manufactured confirming to ISO standards. Stainless steel ingots in India by Paras Steel, leading manufacturers & exporters of steel ingots, bars, flats, rounds and other components in India. We are supplying in re-rolling, forging, ring rolling and up-setting with Cold sawable and Stamped with heat no, grade, sizes and 100% material identity tested through handheld XRF. Outokumpu ingots are usually used for forging and rolling into large heavy billets and bars. We provide stainless steel ingots in a range of grades, along with expert advice for forging and processing. Ingots are produced by uphill teeming/bottom filling into fixed sized moulds. M/s. Nami Steel is one of the thriving Manufacturers & Suppliers of high quality Stainless Steel. We offer wide range of Stainless Steel Ingots in 300 & 400 series like 304, 304L, 316, 316L, in all grades. We also specialize in catering Stainless Steel Ingots as per customer specifications & requirements. Material: Stainless Steel and Alloy Steel. We are proud manufacturers of Ingots (Mould Cast), manufactured using quality raw material procured from trusted vendors. We adhere to all quality standards laid by the international community and the industry. These Ingots (Mould Cast) are used widely in numerous industries for their vast industrial applications. Size: 3" x 4" to 18" x 21"